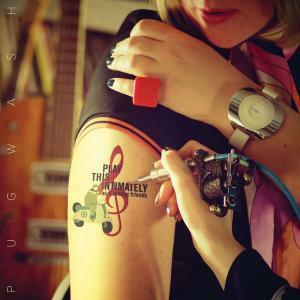 Album Review: Pugwash, "Play This Intimately (As If Among Friends)"
Pugwash is a band that jumped in the time machine in 1969 and, fortunately for us, arrived right on time now. For about a decade I’ve been evangelizing about the band Pugwash, hailing from Dublin, Ireland. It usually is prompted whenever someone bemoans that “they just don’t make them like they used to” or “there’s no good new music/bands out there.” The sticking point has been up to now that their albums have only been available as expensive imports. Then something rather miraculous happened last year. Omnivore Records, purveyors of classic pop legacies like Big Star, The Knack, The Three O’Clock, Jellyfish and others put out a Pugwash primer A Rose In A Garden Of Weeds. It was a sign of things to come. describes the contents as the tracks regularly assume a mid-tempo pace. This is heard on the standout “The Fool I Had Become,” a swirling brokenhearted ballad. You can also hear it on “You Could Always Cry,” a track that alternately recalls The Traveling Wilburys and The Kinks with great admiration toward both. This is not to say the record is devoid of rockers. The opening “Kicking and Screaming” finds drummer Joey Fitzgerald employing a bit of rubber soul. Lead guitarist Tosh Flood and bassist Shaun McGee lock in on a Beatlesque “Getting Better” vibe on “Hung Myself Out To Dry.” Yet the majority of the record is, as I say, intimate. It is an early-autumn kind of album that you pop on and go for a long leisurely tour with. A perfect chill-out disc with a ’60s sentiment behind it. And there’s the strange part. While Pugwash is not a relatively old group (the debut Almond Tea appeared in 1999), if you packaged them on a bill with some of their heroes, they would fit in more like peers and certainly not like imitators. Many of those heroes appear on this very album: ELO’s Jeff Lynne, Walsh’s self-avowed idol; XTC’s Andy Partridge; and Kink and Konk Studios owner (where the album was recorded) Ray Davies. Walsh’s Duckworth Lewis Method cohort Neil Hannon also co-conspires to great effect.
. This is its own entity and makes a credible case for itself if you allow it to. You’ll get it big time if you allow it a chance.